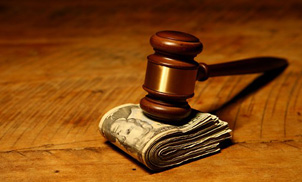 Restitution is an amount of money paid by someone convicted of a criminal offense. The purpose of restitution is to compensate a crime victim for actual losses incurred as a result of criminal activity. Importantly, restitution is not meant to compensate a crime victim for pain and suffering, hurt feelings, or other non-measurable losses. Only losses that are documented can be reimbursed through restitution. Don’t get taken advantage of in restitution orders. Because of some recent news regarding a high profile case with which I was involved, there has been a good deal of discussion of the Grand Jury process and how it works. To many, even within the legal community, Grand Juries are mysterious and there is a lot of misinformation circulating about exactly what happens when a Grand Jury considers a case. This blog will seek to remove some of the mystery around the process. Beware of phone scams — They are real! Alabama’s laws provide for three levels of drug offense — Possession, Distribution, and Trafficking. Trafficking is by far the most serious of these offenses and carries a mandatory prison sentence as outlined below. The distinction between Possession, Distribution, and Trafficking is based mainly on the weight of the drugs involved. As you will see by reading below, the punishments for Trafficking offenses in Alabama are severe and, importantly, mandatory. Prison time called for by these laws cannot be suspended or split by the sentencing judge. These are extremely serious charges and should not be taken lightly by anyone facing a Trafficking charge. A skilled, experienced lawyer is a must for anyone facing a Trafficking offense. While other states are decriminalizing or even legalizing marijuana for recreational use, Alabama has not changed their marijuana laws. Alabama law allows for possession of marijuana in the first degree (POM I) and second degree (POM II). POM II is different from POM I because POM II is for first time offenders that are caught with only a small, or “personal use” amount of marijuana. POM I is a Class D Felony, while POM II is a Class A Misdemeanor. Is Alabama’s Expungement Law About to Get Better? We at Skier & Associates have received information that there will be a bill filed in the upcoming legislative session that would expand Alabama’s existing expungement law to allow expungement of certain convictions as well as pardoned convictions. As always, the legislative process is unpredictable and slow. Stay tuned to this space for updates and a critique of any new law passed by the legislature and signed by the governor. Identity theft often isn’t as simple as one person stealing another person’s social security number and using it to apply for credit cards. There are several different ways by which someone may be charged with identity theft. If you or someone you care about has been charged with identity theft or trafficking in stolen identities, you should call an attorney and get legal advice about the case before making any decisions about what to do next. At Skier & Associates we are available and willing to discuss your case with you, offer legal advice based on years of experience with criminal law, and discuss representing you in your case.